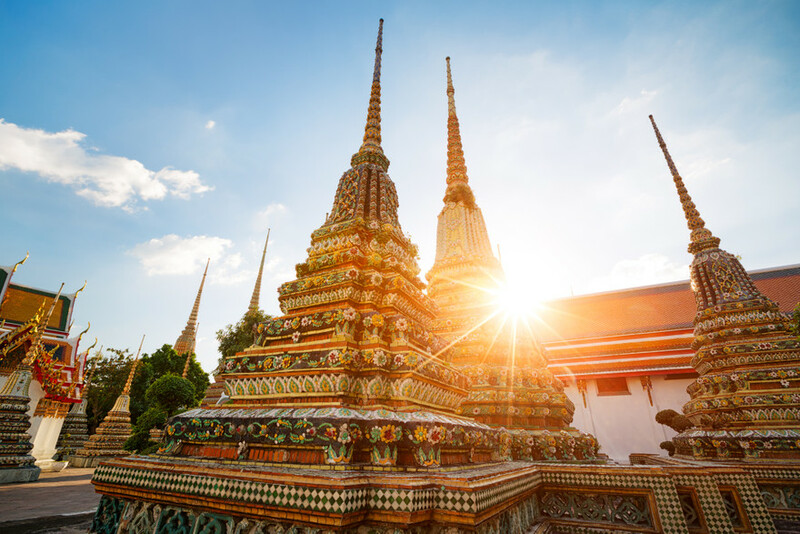 Thailand tours will take you from the world-class city of Bangkok to the lush river banks, exploring wonders that will leave you in awe of the uniquely preserved Thai culture. You’ll marvel at the sacred Buddhist temples with glorious craftsmanship at every turn as well as truly appreciate the delicious food and welcoming natives. Soren helped me plan the trip, found me the right activities and accommodations, and was very responsive throughout the entire trip and gave me a feel..."
Thailand tours have attracted millions of visitors over the decades and their popularity is only increasing. 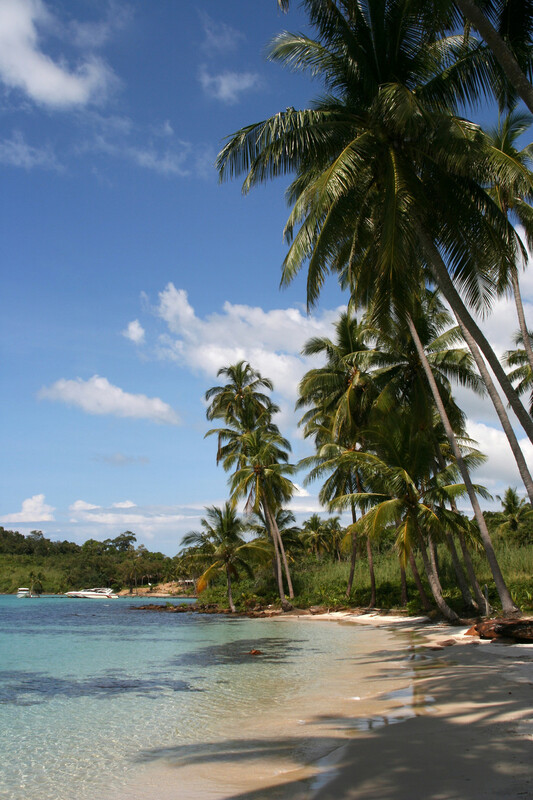 If incredible beaches and some of the best cuisine in the world sound like the way you’d like to vacation in paradise, you're not the first. 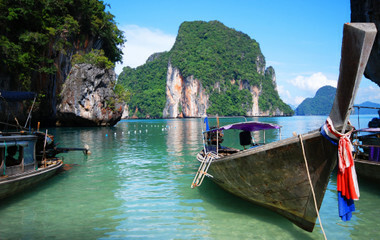 On a Thailand holiday you'll discover busy, fascinating Bangkok. 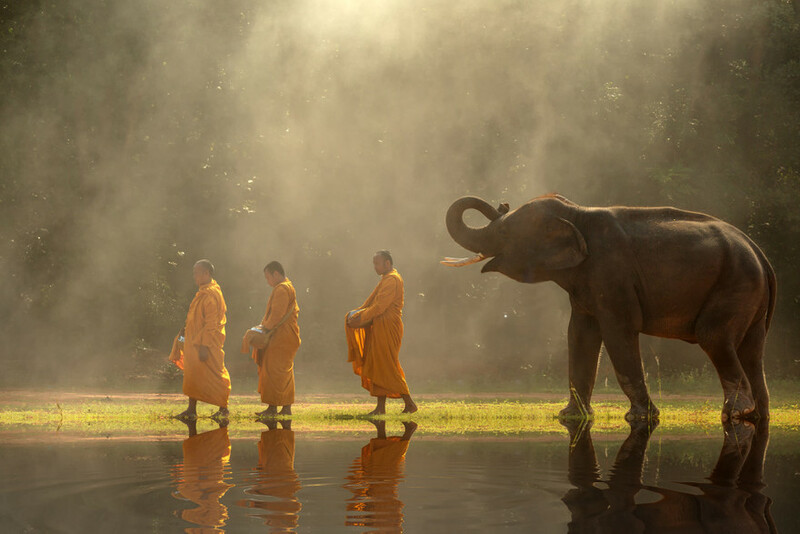 As you navigate Thailand you’ll become enchanted with the peaceful Buddhist culture and fall in love with the warm, hospitable locals. You'll discover a land of wonders, where the waterfront, the countryside and the cities, the fresh and local food, and the colorful history will enthrall and capture your attention. One interesting fact to note when you take a trip to Thailand is that it is the only Southeast Asian nation that was never colonized by a Western nation. As a result, the monarchy and history have remained uniquely Thai with a rich cultural heritage and nationalism. 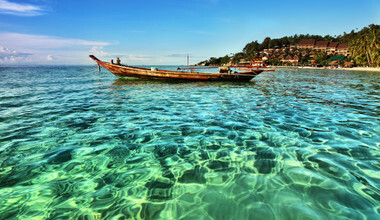 Your Thailand travel package is likely to begin in Bangkok, the third most visited city in the world. Only Paris and London have more annual visitors. 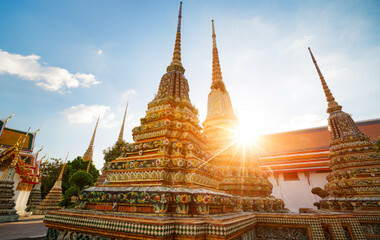 The full name of the city, in Thai, translates to City of angels, great city of immortals, magnificent city of nine precious gems, seat of the king, abounding in an enormous Royal Palace that resembles the heavenly abode where reigns the reincarnated god, a city given by Indra and built by Vishnukarn. The city that holds the Guinness World Record as the world’s longest place name also holds a record for being loved by residents and visitors alike. 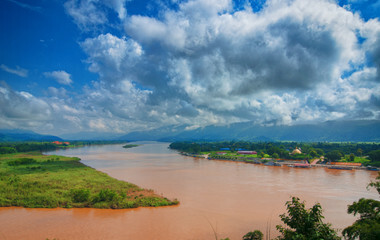 With 25 river basins, travel by boat is a must in order to see the countryside, where you can take firefly cruises, visit a Buddhist temple complex along the Mekong, or dine on mango sticky rice at gourmet floating restaurants. If you like to scuba-dive or snorkel, the protected crystal clear waters of the Similian Islands just off the coast of Southern Thailand offer brilliant close up views of sea creatures, including turtles and other natural wonders. The seven layer waterfall in Erawan National Park is a sight to behold, or in Pah Taem National Park, the Soi Sawan Waterfall (which literally translates to Waterfall Paradise) forms a natural bubbling spa amidst the rocks in the river. Thailand travel is filled with many sensations, from the white sand beaches of Phuket, to the monthly night long dance celebrations of the Full Moon Party in Ko Pha Ngan, to the lush mountainside villages near the Doi Phu Kha National Park, to the food tours through the floating markets, to visiting an elephant sanctuary and rehabilitation park, your Destination Expert can help you discover all the wonders of Thailand. Seafood is a staple dish for all islanders and beachgoers, with a selection of great lobster, octopus, crab and all the favorites. When you choose a Thailand trip from trip.me, you also receive the peace of mind you get from traveling with our carefully selected Destination Experts. Our unique business model eliminates the middleman and connects you directly with your guide, saving you both time and money, while giving you the best price for the trip. Keep in mind that any of itineraries are just the beginning. You can customize your vacation down to the finest detail. If you don’t see everything you want to do, simply contact your Destination Expert and design your trip together from scratch. Explain your interests and your personal Destination Expert will take it from there. All Thailand tours will inevitably start and end in the countries buzzing capital, Bangkok. 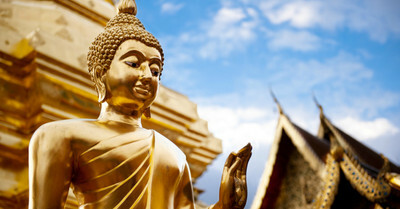 Here you will find anything you want, from resplendent ancient temples to a unique night of Thai boxing. Bangkok really seduces your adventurous, “try everything” spirit. The floating market in Bangkok is a truly unique beginning of your Thailand holiday package as your Destination Guide helps you navigate the buzzing marketplace. Swaths of tourists flood through Khaosan road, picking up tailored suits, handcrafted goods and printed vests, before returning in the evening for a lavish night in the eclectic range of bars. 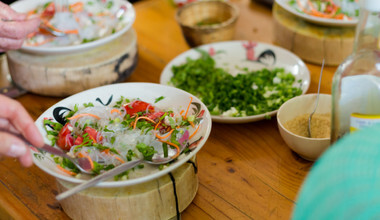 Chiang Mai, in northern Thailand, is a hub for temple trekkers, market meanderings, future chefs and animal enthusiasts. Take a Thailand private tour up to nonchalant Chiang Mai and you are sure to be impressed. You will get the chance to cuddle cub tigers, bathe with elephants and attend several Thai cooking courses. The amount of stunning temples here is a enough enticement to head north to this memorable city. To get a feel for the authentic country, your Thailand holiday package can take you through dense jungles, where you will meet wonderful wildlife and picturesque waterfalls. 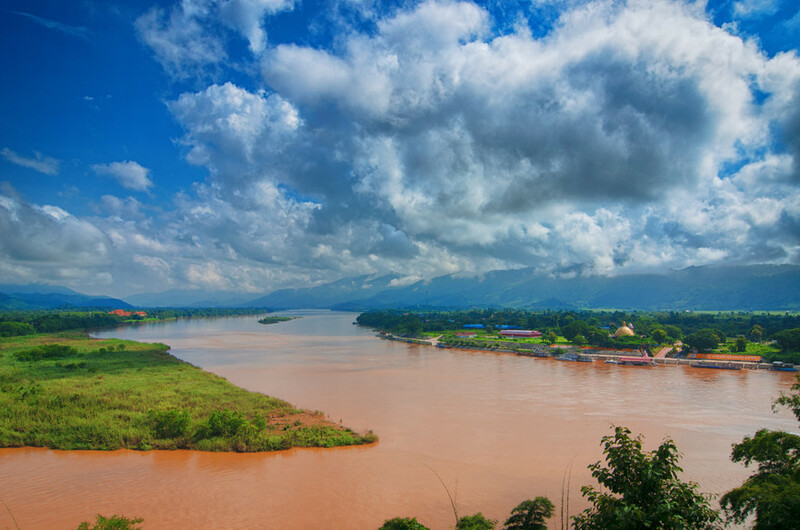 Kanchanaburi showcases Thailand’s amazing natural beauty. 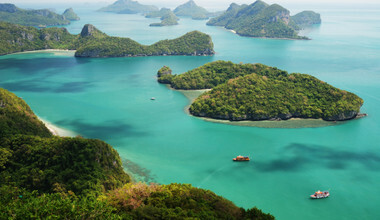 If the last few recommendations haven’t convinced you to pack up and head to Thailand yet, then it will be Thai island hopping that will be certain to reel in any traveler in doubt. 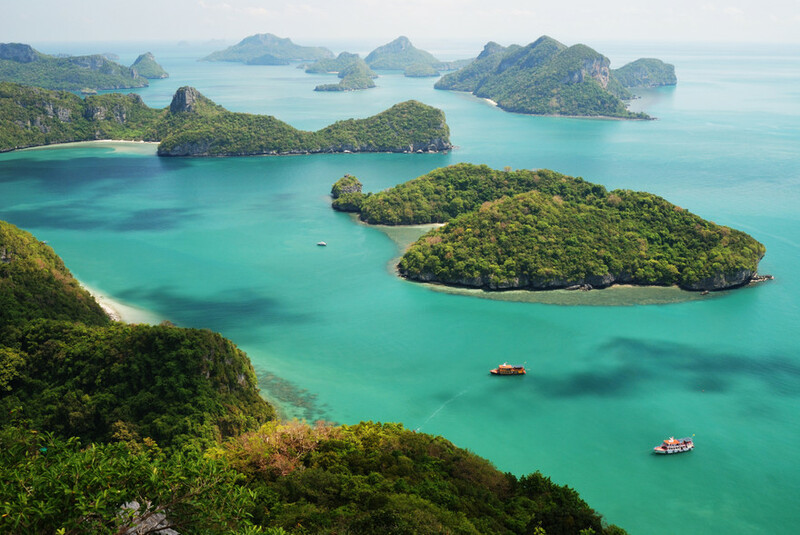 Many of the Thai islands depict the generic perception of what paradise looks like, with their golden sandy beaches lined with palm trees and their idyllic, calm crystal waters, spread around the looming and mysterious limestone cliffs. 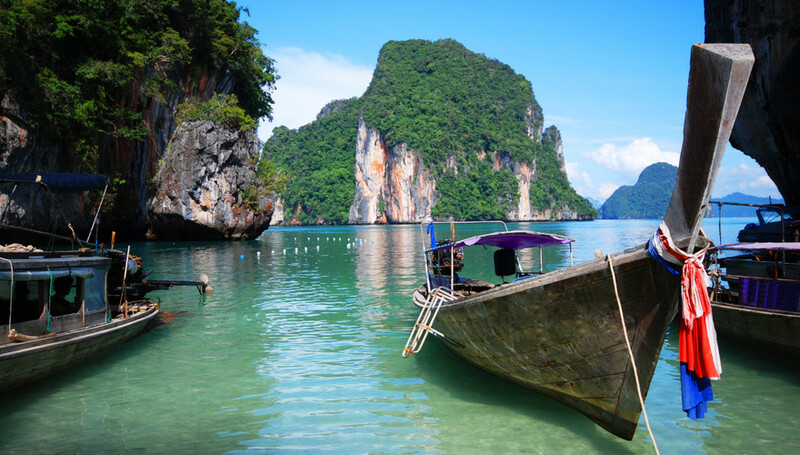 First made famous by Ko Phi Phi from Danny Boyle’s 2000 film The Beach, the popularity of the Thai islands now spreads throughout hundreds of beautiful different islands. Ko Pha Ngan hosts the notorious full moon party where young tourists from all over the world come to party, usually with painted bodies and faces before spending the next day recovering in the forgiving ocean. Simply said EVERYTHING worked out perfectly. Great guides and the trip was exactly what I requested. Quality at every point and very attentive and professional service. 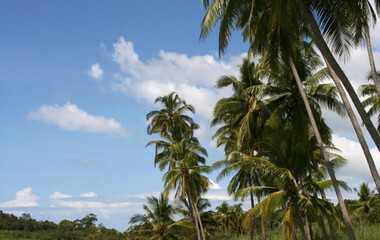 Excellent and expert guide who understands the needs of the individual traveler. I am 71 obviously not as mobile as I used to be, but Mr. Phichit sensed when it was time to take a rest of all the walking. He than took us to a bench in the shade or a café where we could have a coffee or a snack. Thailand, Cambodia and Vietnam - total 19 days. Phichit is very helpful, we have exchanged tons of e-mails planning the trip. Quick response, remember about different time zone + 6 hours for me.